NSA Provident Fund | Fil-Nor GAIN, Inc. In order to give the utmost service and respond to the increasing number of inquiries from seafarers concerning claims for the NSA Provident Fund as to retirement, disability and death benefits, FIL-NOR GAIN, INC pursued its endeavor to become one of the authorized and legitimate service office for Filipino seafarers who are members of the NSA Provident Fund. The authority was finally granted by Storebrand Livsforsikring A/S last April 2006. Fil-Nor Gain, Inc. has commenced servicing NSA Provident Fund members on inquiries related to its administration, particularly, the procedures in filing of claims for Retirement, Disability and Death benefits. An Online Account Balance Inquiry was also set up by Storebrand to access information on the updated provident fund contributions of members. 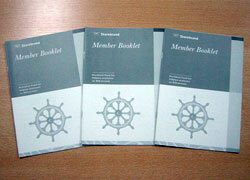 In addition, Fil-Nor GAIN, Inc. also furnishes fund members with Claim Forms and Member Booklets. Assistance for follow-up of applications after six months of filing the claim, verification of membership under the fund and updating of member’s mailing address are accepted and forwarded to Storebrand.